9:15 AM We leave for the monastery. 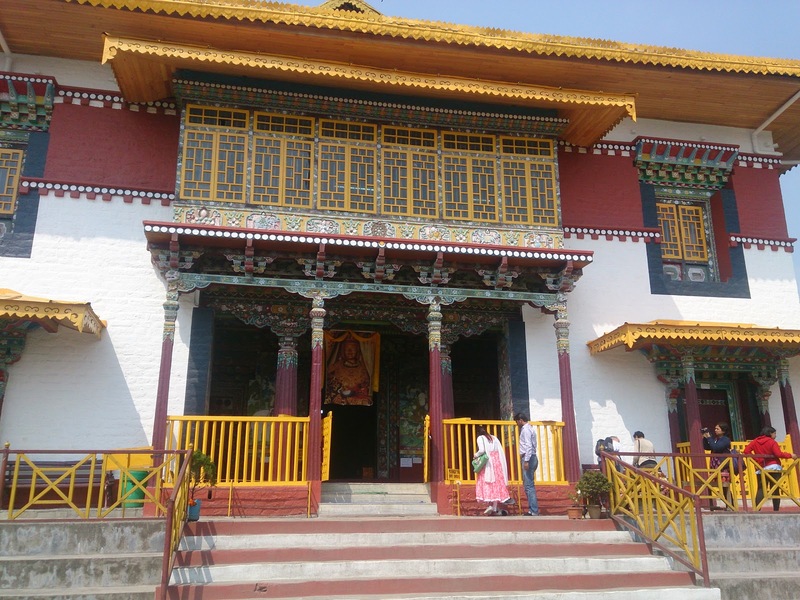 Pemyangtse Monastery is just across the Mt. Pandim hotel. The first floor of the monastery has a notable collection of ancient Buddhist antique idols, scriptures as well as sculptures and decorated paintings.Padmasambahva's eight incarnations in fierce form are also seen here.Of particular note is a seven-tiered painted wooden structure, portraying Guru Rimpoche's Heavenly Palace known as "Sanghthokpalri" also spelt "Zandog-palri", on the top floor of the monastery. The monastery is 15 minutes walk from the hotel. There is a small climb to the monastery but the walk is pleasurable. 10:30 AM We walk to Rabdentse Ruins just around one and half kilometers from the hotel. The ruins seem to be in good condition but not many visitors around. Looks like a places that is not well publicized. 12:30 PM We leave from the Pelling and continue our journey to Darjeeling. As we cross over to West Bengal from Sikkim, you can do river rafting in Teesta River. It is really a fun things to do. It does take around 2 hours. 6:30 PM We reach Hotel Mayfair in Darjeeling. Here is my review of the hotel.